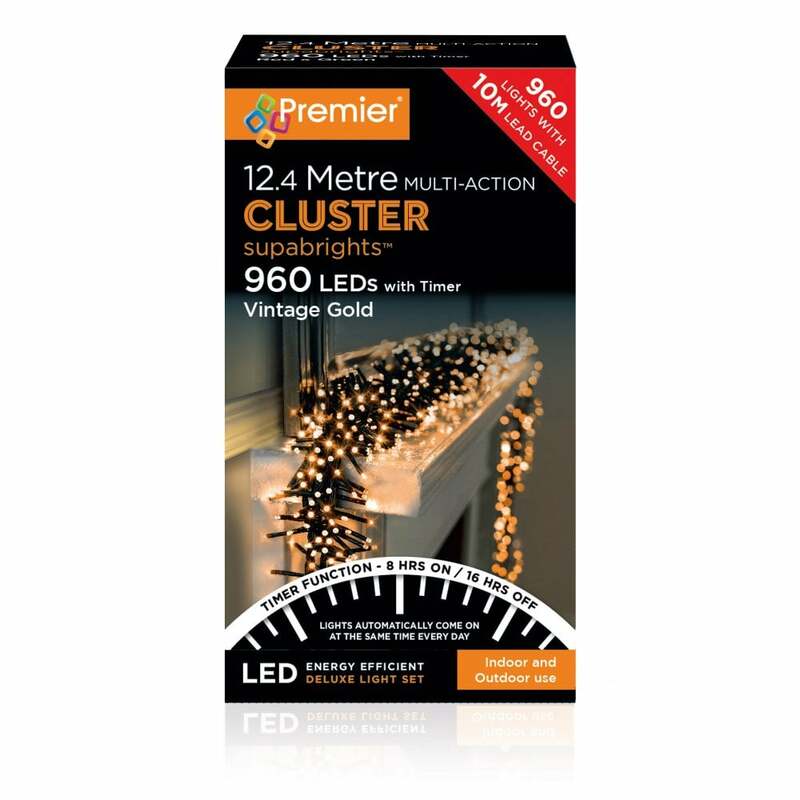 Premier Decorations 12.4m are cluster lights with 960 supabright vintage gold LED's which will create a spectacular light display over your mantle etc this festive season. This product code is LV162176VG. The multi function action provides a choice of eight different function through to slow fade, flashing to static, simply choose the one which suits you. The additional feature of a timer enables the lights to switch on for 6 hours then automatically switch off for 18 hours. The cycle is then repeated so you don't need to worry about remembering to switch them on and off yourself. Cluster lights provide a higher concentration of lights for the length of cable with approx 2.5cm only between each LED. Mains operated and suitable for indoor or outdoor use but must be plugged into an indoor socket. Green cable. Also available in warm white, white, blue or multi coloured.